India is a large country to get lost in. From backpacking Israelis to wandering hippies, vagabonds of all types find themselves on the dirt track to salvation here. But, take a break, you must, from time to time. And in times like those, a handful of cafes in our country offer to turn back time. 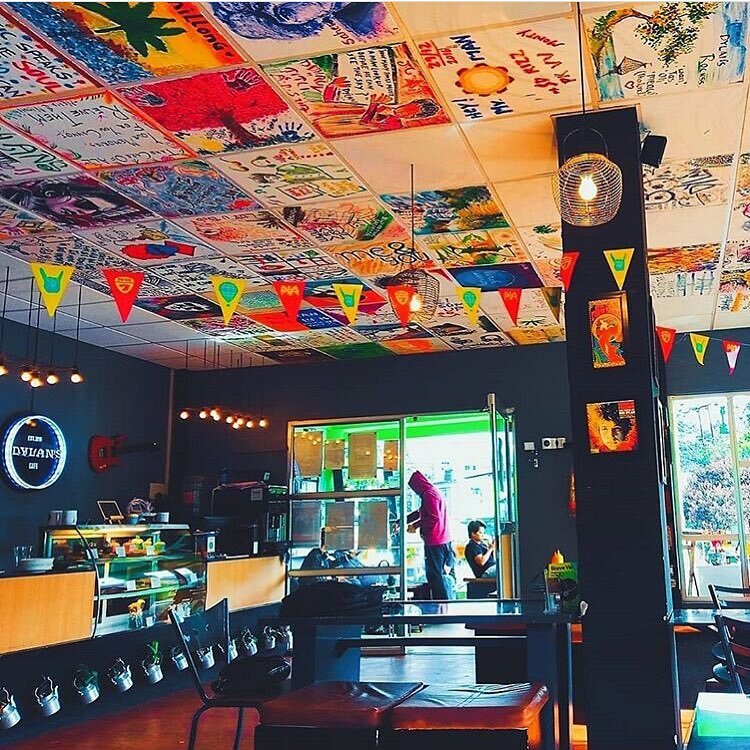 Like these cafes which throwback to the hippie soul of the 60s, a reminder of the flower-power generation. 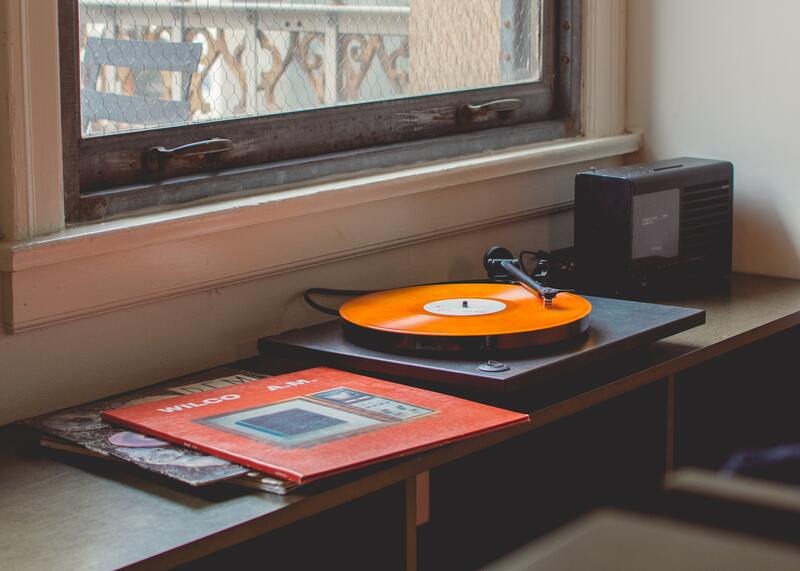 Apart from the culture bite that these places offer, a case could well be made for impromptu musical jams and serendipitous meeting of like-minded people. Make your pitstops at these quaint hole-in-the-walls as you escape the city lights in search of hipster trails. “How does it feel? To be without a home. With no direction home? Like a complete unknown? Like a rolling stone?” — Bob Dylan, Like a rolling stone. 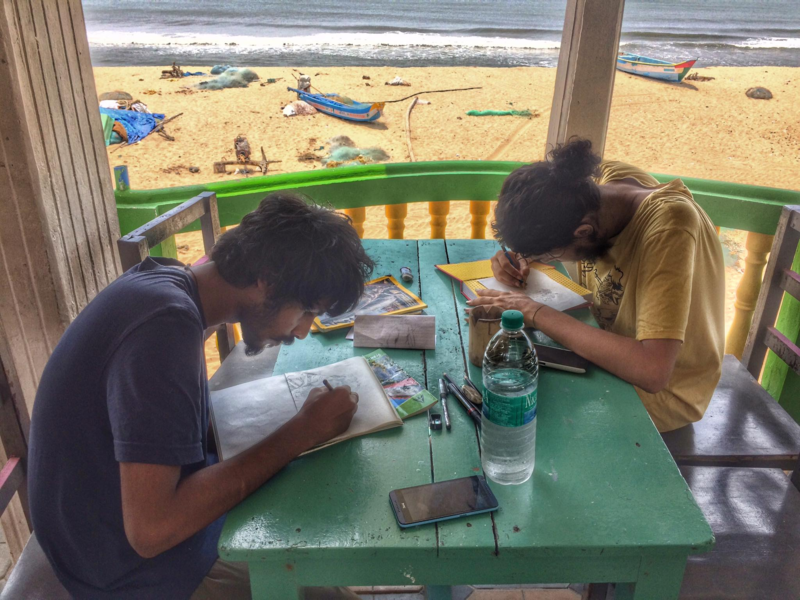 Shillong referred to as the “Scotland of the East,” is home to Dylan’s Cafe — a quaint watering hole celebrating the folksy legacy of Noble Prize-winning poet Bob Dylan. Rendezvous at a cafe where snug wooden panels line the walls, which once housed the dance floor of Shillong’s first nightclub ‘Platinum.’ Dylan’s Cafe is a reflection of Shillong’s rock capital status. A frequent host of musical gigs supporting local talents, and literary events such as book launch, poetry and book readings; you will see people enjoy the ambience and piping hot chocolate. MUST TRY: The house favourite peri-peri chicken steak. STANDOUT: North-India’s first tribute cafe. is all your life will ever be” — Bob Dylan, Like a rolling stone. 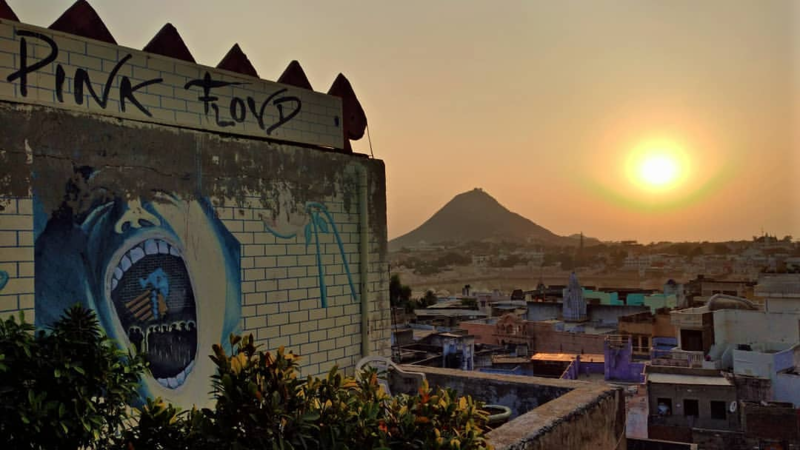 Pushkar unravels itself as a pilgrim site to devout Hindus and Sikhs; as most heritage sites, Pushkar too has its share of bustling tourists. 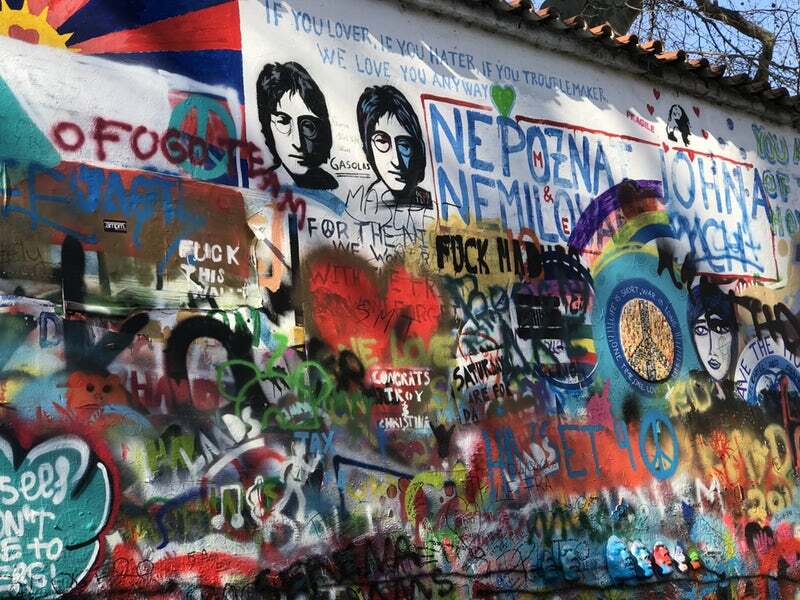 An unusual spotting in this scene is a cafe-hotel called Pink Floyd — a whole world of its own. This place has psychedelic rooms named after Pink Floyd’s albums; an idea two brothers Apu and Shiva made real. Pink Floyd Cafe in its initial years catered only to foreigners under strict compliance of refusing service to the few Indian nationals. Photography in the premises of the hotel is banned as the brothers fear their Pink Floyd themed cafe would suffer the loss of originality. If you find yourself visiting this place you have the luxury of choosing a room named after your favourite Pink Floyd album or a room with a view. Some selects from the delectable menu are their creamy aloo and spinach thupla. Cafe Hendrix – Guwahati, Assam. To stand next to your fire” — Jimmy Hendrix, Fire. Endless rows of tea garden, Assam has you hi ho in its tea culture. Here is a cafe dedicated to the guitar legend Jimi Hendrix, the first of its kind — a Blues Cafe. It is the most happening place in town attracting the young heart of the city. A place of music gigs live performance, local talents flock to the stage of musical freedom. Alongside its exquisite taste in music and energy, it also houses some of the finest wine. When in Assam, pork is a must try and their spicy air-dried pork with Bhut chillies and dragon mushroom is a house speciality. STANDOUT: Psychedelic interiors in Floyd-inspired rooms. mm, gonna try with a little help from my friends.” – The Beatles, With a little help from my friends. The 60s will forever rave about its mod-fashion, turtlenecks and vintage denim and the gradual shift to psychedelia. 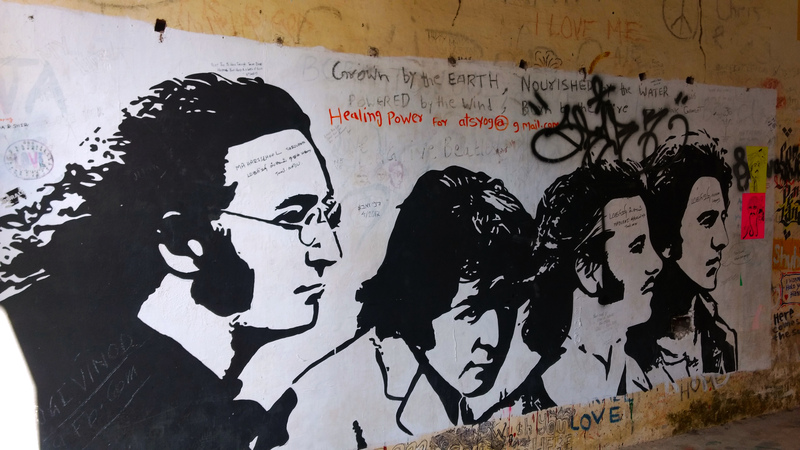 The 60s most beloved Fab Four — the BEATLES, flew down to India searching for inner peace in a facade of immortal fame and in these lanes of Rishikesh you will find this 60s cafe, popularly called Cafe Delmar/ Beatles Cafe, paying homage to the Beatles with picture-adorned walls. Tourists crowd the place to see what brought the Famous Four to this little hill station. Finding a niche here, the owners welcomed these tourists with the cafe celebrating the Beatlesmania. Grab a quick snack of their freshly baked garlic bread — something you wouldn’t want to miss while visiting this place. A release of their song ‘Dehradun’ captures the heart of many accompanied with striking cords and hummable tune penned during Harrisons’ visit to Dhoon. STANDOUT: The Beatles’ photo wall.